Here’s a post about leprechauns. 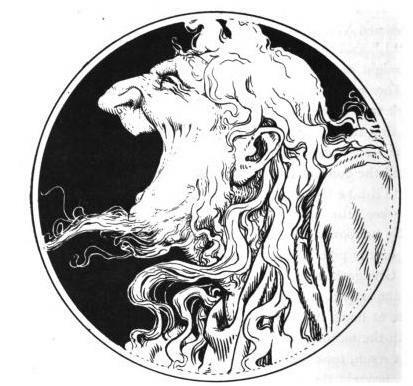 Not all faery beings can be imposing sídhe lords and ladies, sinister jinn, or wild, unpredictable satyrs. In world mythology, some of the inhabitants of the Otherworld are humble, unassuming, and even quite helpful to mortals. Today, I’ll highlight five types of little folk that you probably wouldn’t mind dropping by. They are all good with chores and domestic tasks of various sorts, and are usually happy to help mortals out for a modicum of remuneration. (Offerings of food or milk or cream usually does the trick.) All of these beings are all found in Scotland, Ireland, or surrounding regions. A brownie is called a brùnaidh in Scots Gaelic and grogan in Irish. These are domestic spirits who attach themselves to a house or family and often perform domestic chores when no one is looking. The house elves of Harry Potter are modeled largely on brownies. The uruisg (or urisk) is very much like a brownie, but is set apart by having goat-like hooves. They are called fenodyrees on the Isle of Man. The are said to have a mischievous nature and also tend to be inclined to perform farming or agrarian tasks. They are thus somewhat similar to a pooka. Kilmoulis are faery millers, an ugly form of brownies said to haunt mills. They also hail from the Border counties. They have enormous noses but no mouths, and therefore they have to inhale their food through the nose. Kilmoulis work hard, but also enjoy tricks and pranks. Gruagachs (the Gaelic plural is technically gruagaichean) are field-folk native to Scotland. Their name literally means “long-haired one.” They love to help mortals with household tasks. Female gruagachs herd and protect cattle, and are also associated with water. They are described as having long blonde hair and wearing a green dress. Sometimes they are said to be attractive; more often, however, they are grotesques hags—although extremely kind-hearted. Male gruagachs have thick fur, although occasionally they are described as handsome youths dressed in green and red. They commonly work as farm hands shredding and thrashing grain. A clurichaun (Irish clobhair-ceann) is thought by some to be a variant form of the leprechaun who goes out to drink after finishing his daily work. They are always drunk. If treated well, a clurichaun will protect a mortal’s wine cellar. By day, this family friendly museum is a lighthearted journey through the myths of the Emerald Isle. The exhibits include the history of the leprechaun from the first sighting in the 8th century to Walt Disney’s visit to Ireland, where he found the inspiration for his 1959 film, Darby O’Gill and the Little People. The tour includes rooms full of incredibly over-sized furniture and other optical illusions, as well as an exhibit that features rainbows and pots of gold after a rain shower. Still others reveal cautionary tales, like what happens when you try to catch a leprechaun and additional stories of mishaps and tragedy like the Children of Lir. The tour mixes predictable exploitation of the infamous little legend with mysteries such as Newgrange and other lesser known Irish myths. It ends in an all-too-bright gift shop full of tourist fare and glitter.